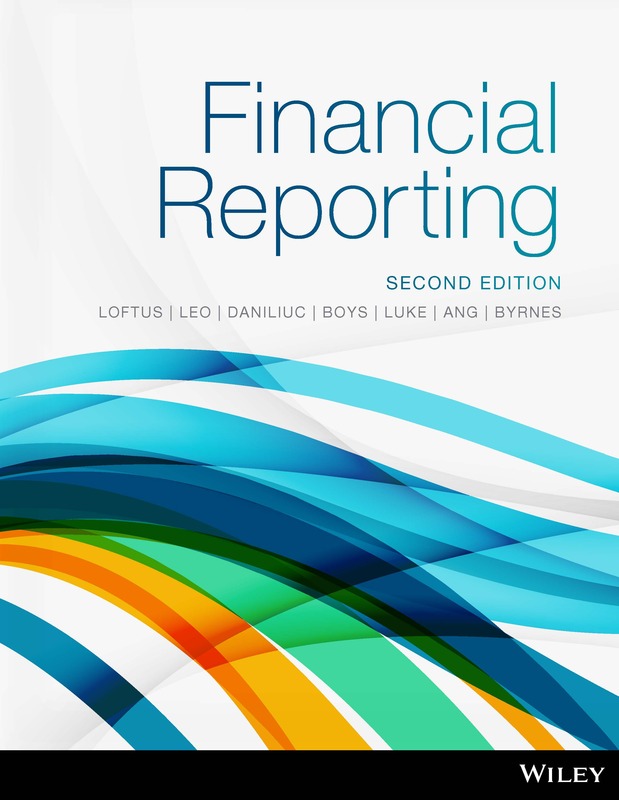 The second edition of Financial Reporting (Loftus et al.) provides both a conceptual understanding and a practical application of the accounting standards. 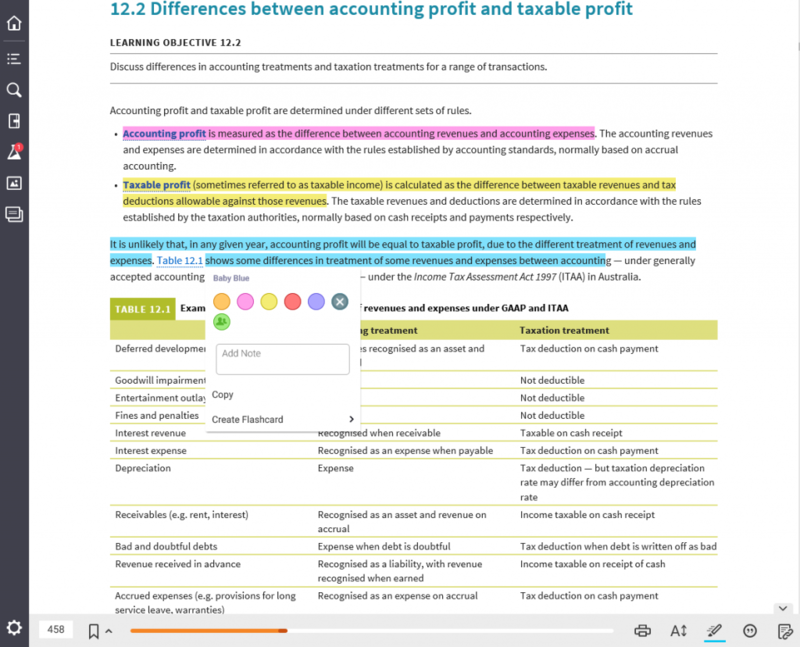 For students, an understanding of the conceptual basis of accounting and the rationale behind the principles is crucial to the consistent application of standards in a variety of practical contexts. Designed to cover all the core topics from the two financial reporting units – Financial Reporting and Company Accounting. 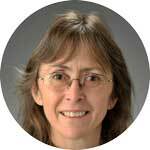 Janice Loftus, BBus, MCom (Hons), FCPA, is an Associate Professor in Accounting at the University of Adelaide. Her teaching interests are in the area of financial accounting and accounting theory, and she has written several study guides for professional and tertiary distance-learning programs. Janice’s research interests are in the area of financial reporting. She co-authored Accounting Theory Monograph 11 on solvency and cash condition with Professor M C Miller. She has written numerous publications on international financial reporting standards, risk reporting, solvency, earnings management, social and environmental reporting, and developments in standard setting in Australian and international journals. Janice co-authored several other accounting texts published by John Wiley & Sons including ‘Accounting: Building Business Skills’, ‘Understanding Australian Accounting Standards’ and ‘Applying IFRS Standards’. She is an executive team member of the Accounting Standards Interest Group of AFAANZ. Prior to embarking on an academic career Janice held several senior accounting positions in Australian and multinational corporations. Ken Leo, BCom (Hons), MBA, was an academic for over 40 years, including 20 years as a Professor of Accounting at Curtin University in Western Australia. During this time, he taught company accounting to undergraduate and postgraduate students. 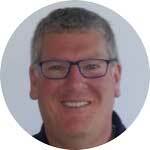 He has been involved in writing books published by John Wiley & Sons since 1981, and has also written books and monographs for other organisations including CPA Australia, the Group of 100 and the Australian Accounting Research Foundation. He was a founding member of the Urgent Issues Group, serving on that body from 1995 to 2001. He subsequently served on the Australian Accounting Standards Board from 2002 to 2007, both as a member and as deputy chair of the Board. 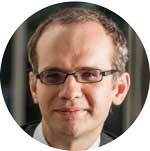 Sorin Daniliuc is a lecturer in the Research School of Accounting at the Australian National University. He holds a PhD in Commerce, a Graduate Certificate in Higher Education from the Australian National University and a Bachelor of Economics from the ‘Alexandru Ioan Cuza’ University of Iasi (Romania). Sorin is a member of CPA Australia and the special interest group on accounting education at the Accounting and Finance Association of Australia and New Zealand (AFAANZ). He has extensive experience in teaching both introductory and advanced financial accounting courses to both undergraduate and postgraduate students, and is involved in designing learning materials for the CPA professional level exams. Sorin’s interests lie in the areas of corporate governance, business combinations, consolidations and corporate restructuring. He is particularly interested in factors that can improve the performance of corporate mergers and acquisitions. Noel Boys, BBus (Accountancy), Grad Dip Ed, ASA, is a Teaching Fellow at the University of Melbourne, lecturing in Financial Accounting. Noel began his career in auditing at Arthur Young (now Ernst & Young) before moving into accounting education. He has been actively involved in the design and delivery of several accounting subjects at both an undergraduate and postgraduate level, as well national graduate training programs for mid-tier accounting firms. 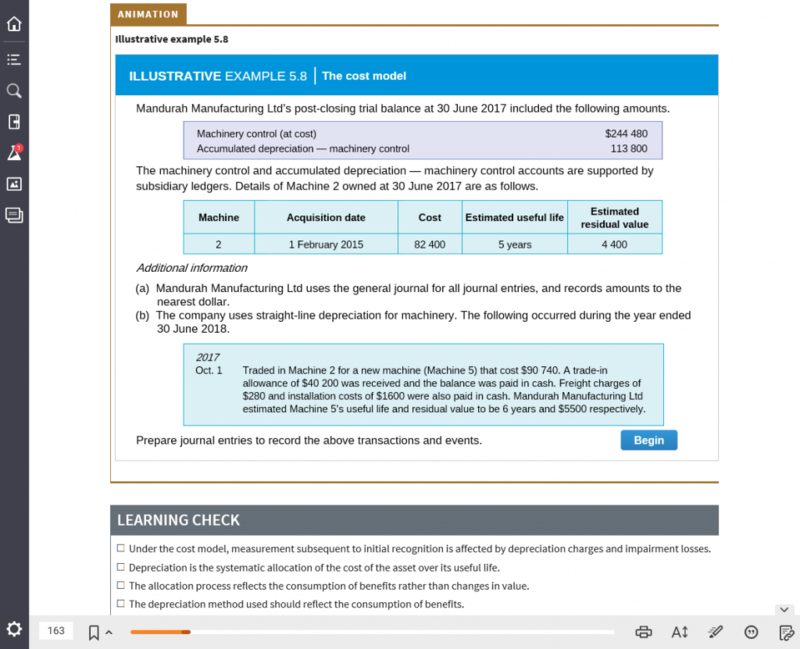 Noel was an academic consultant on the CPA Australia project that created the ABC learning case study DVD teaching resource. Belinda Luke, is an Associate Professor in the School of Accountancy at Queensland University of Technology. She has approximately ten years of experience in both academia and industry, working for a Big 4 accounting firm in Australia, Ukraine, Papua New Guinea and China; before joining academia. 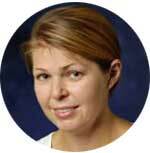 Belinda teaches company accounting at QUT and has taught finance and accounting in Australia and New Zealand. Her qualifications include CA, BBus (Hons), MBus (Hons), PhD and Graduate Certificate in Higher Education. Belinda’s research interests include accountability in the public sector and third sector. Hong Nee Ang, BAcc (Hons), MBA, PhD, CPA, CA(M), is the Director of Master of Accounting and International Finance at Deakin University. 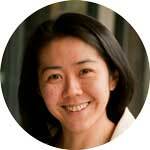 She has more than 15 years working experience in industries and academia in Australia, Malaysia and South Korea. Prior to joining academia, she held positions as a senior auditor in an accounting firm and an accountant in an IT manufacturing company. She has taught corporate accounting, accounting theory, professional research and analysis for accountants to both undergraduate and postgraduate students. Her research interests are in the areas of international financial reporting standards, corporate governance and directors’ remuneration. Karyn Byrnes, BBus (Accounting), CPA, was a lecturer at the University of Southern Queensland (USQ) for 12 years. She has taught across a range of courses in both undergraduate and postgraduate accounting programs including electronic commerce, introductory accounting, financial accounting/reporting and company accounting. Whilst at USQ, Karyn held additional positions of learning and teaching coordinator for the School of Accounting and campus liaison officer for CPA Australia. Her research interests have been in the areas of professional accounting education and continuing professional development. Prior to lecturing, Karyn was employed as a financial accountant in both the manufacturing and not-for-profit health industries. She has been a member of CPA Australia for almost 25 years and served on the local CPAA branch committee, including a two-year appointment as the chairperson. 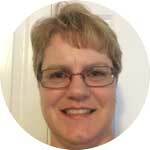 Karyn currently contracts with John Wiley and Sons as a subject matter expert and is a reviewer of study materials in the CPA Australia Program. 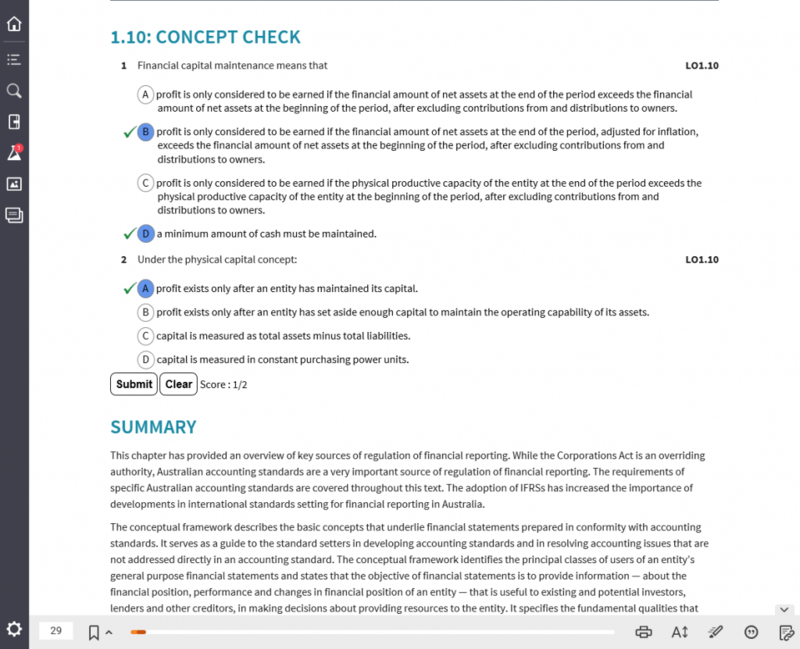 Students can purchase their textbook with interactive eBook code from Wiley Direct: Financial Reporting, 2nd Edition (Loftus et al. ).